Freeing is going to release this huge 1/4 figure of Rias Gremory from the anime series Highschool DxD. If the figure isn’t this pricey, I’ll gladly preorder one. 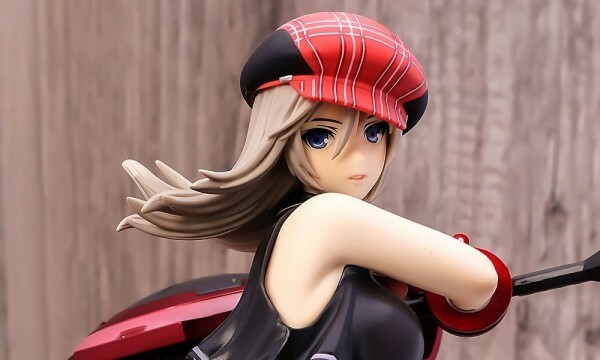 Problem is, figure is currently priced at ¥18,333 which is just freaking expensive. Another thing is I’m (kinda) tired already of this “bunny suit” figures which makes it less more interesting in a collector’s perspective. Sigh… guess I’ll have to pass on this one. Figure will be available August 2014. Rias Gremory is the main female protagonist of High School DxD. She is a Devil from the Gremory Clan - a family of pure-blooded Devils, and is known as the Crimson-Haired Ruin Princess. She is a third-year student at Kuoh Academy, the President of the Occult Research Club, and the school's number-one beauty as well as one of Kuoh Academy's Two Great Ladies. High School DxD is a Japanese light novel series written by Ichiei Ishibumi and illustrated by Miyama-Zero. The series revolves around Issei Hyoudou, a perverted high school student who is reincarnated into a Devil by Rias Gremory after being killed on his first date. He later joins the Occult Research Club as he strives to rise up the Devils' ranks to fulfill his dream of building a harem and becoming a "Harem King". A custom Reshade build with unlocked shaders for Final Fantasy XIV. A community-driven online magazine about toy and figure photography.